Stunning home with dramatic floor to ceiling windows offering eye-catching views of the ocean, beach and adjoining golf course. The extensive use of wood finishes in the main living areas adds warmth and interest to the entry foyer, living room, kitchen and den. The living room features a fireplace, built-ins and entrance to the outside deck. Stainless steel appliances, tilework, custom countertops and numerous cabinets. The master bath features a separate tub, shower, double sinks, electric towel warmer and colorful stain glass windows. The lower level garage is accessible from inside the home and offers extra storage space and work area. Buy this home now and put money in your pocket! Rental machine or second home dream! You can hear the ocean from this private pool and backyard! A few minutes via flip flops to the private beach access with showers and snack bar. Enjoy the big private pool, morning sunrises, and fishing from the dock. This home lives simply beautiful. Four bedrooms plus a loft w/pullout. Two story living room and lots of glass to light up this home! Recent updates include new carpeting, HVAC (3yrs) and H20 Heaters. Large over-sized lot w/gorgeous live oaks & palms. Enjoy ocean breezes! You can bike or walk to everything! 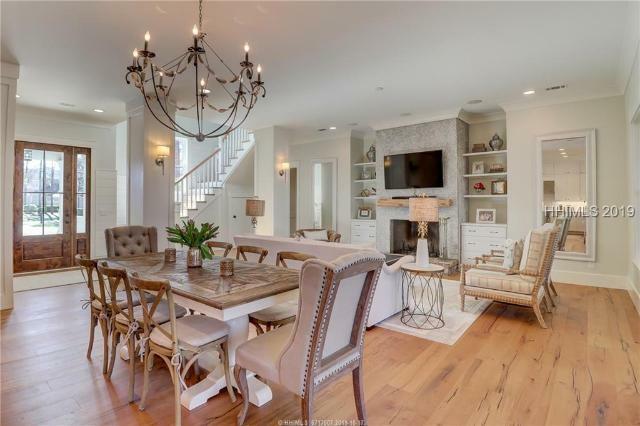 Spectacular luxury estate in Oldfield Plantation! 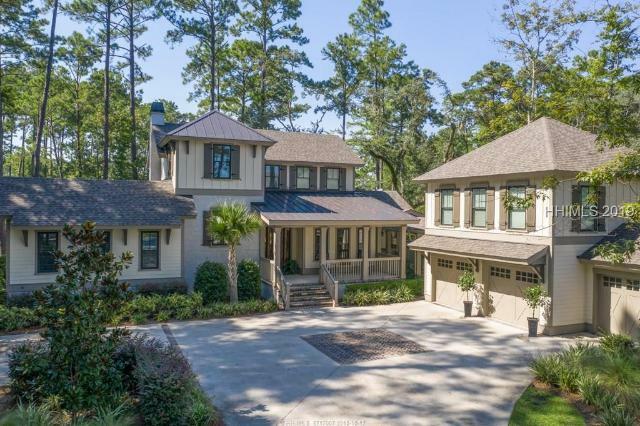 One of a kind construction offering 5 (or possibly 6) bedrooms on nearly one full acre inside the gates of one of the Lowcountry's finest communities. 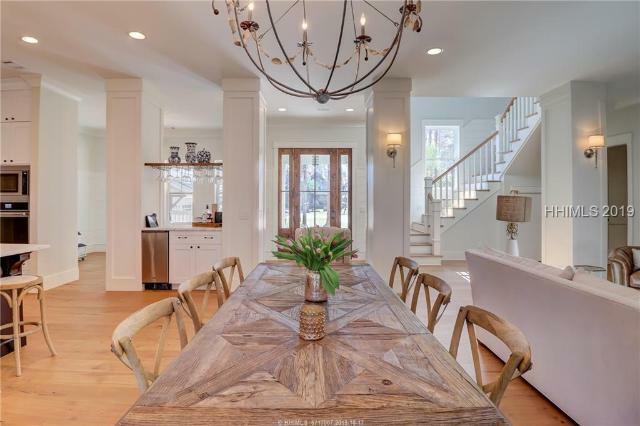 The main home contains several ancillary spaces that include a home office, bonus room, spacious screened porch, wet bar, separate dining room, and 4 bedrooms, with en suite baths. Above the three car garage is an exquisite guest space with a full living room, large bedroom/bath suite with an additional potential bedroom. The outdoor grounds are immaculately maintained and create an astounding low country setting, adorned with mature live oaks.